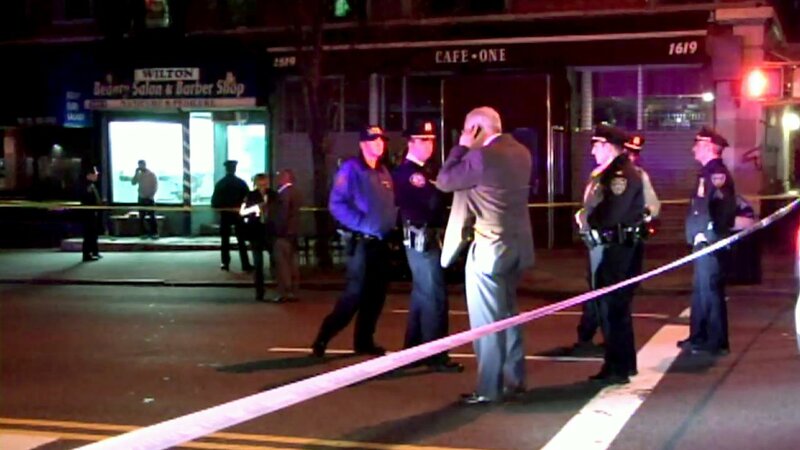 HARLEM, Manhattan (WABC) -- A 23-year-old man was shot in a Harlem barbershop Thursday night. The suspect walked into the Wilton Beauty Salon and Barber Shop on Amsterdam Avenue at 140th Street, police said, and opened fire just after 10 p.m. According to the New York City Police Department, the victim was shot in the neck and rushed to St. Luke's Hospital, where he is critical but stable. A gunman was quickly taken into custody. A Walther PK380 handgun was found tossed in a nearby playground. The five other customers and three barbers inside at the time were not injured.